Mungongo Oil and Soup Making Project started in 2008. We produce Mungongo oil and soup. Mungongo is known as mongongo or manketti. Between the months of March and May each year velvety fruits ripen and fall, and contain a thin layer of edible flesh around a thick, hard, pitted shell. Inside this shell is a highly nutritious nut. Mungongo oil from the nuts has been traditionally used as a body rub in the dry season, to clean and moisten the skin. 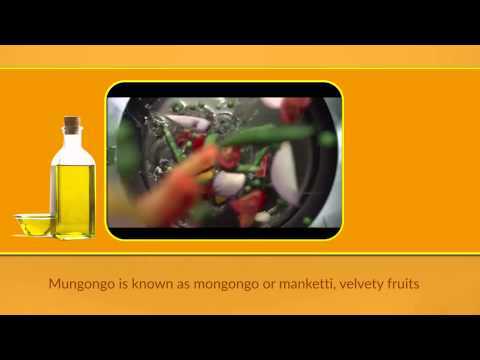 Nowadays, since the Mungongo oil has a preventive effect against hypertension, the oil is known as a healthy food.